Type and Characteristics - Sidewheel steam frigate, built by Norfolk Navy Yard, laid down 6 August 1847, launched 14 February 1850, commissioned 2 September 1852, 2,415 long tons/3,765 displacement tons, 253ft long x 45ft beam x 18ft 6in draft, 1,500hp engine/11kts, armed with 1-11in, 10-9in Dahlgren smoothbore and 5-12pdr guns, 289 crew, first commanded by Captain William Mervine. Log Period and Areas of Service - 1852-55, Home Squadron, East India Squadron, Perry's Expedition to Japan. 16 October 1852 - Departed New York for Vera Cruz with the new Minister to Mexico. 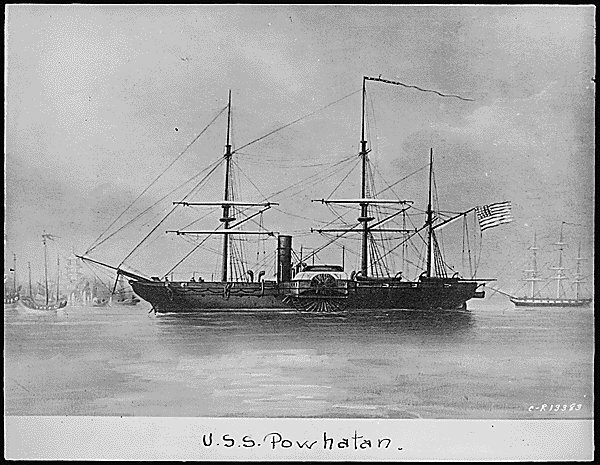 27 November 1852 - Returned to Norfolk via Havana and Pensacola. Later assigned to East India Squadron, commanded by Cdr William J. McCluney. 15 June 1853 - Arrived on station, having sailed via Cape of Good Hope. 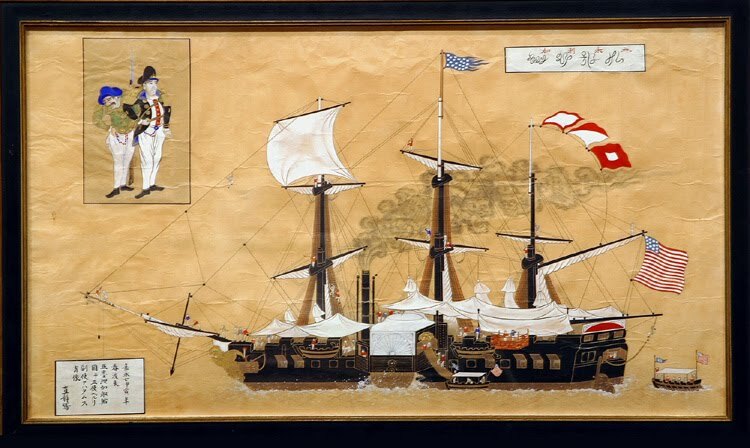 November 1853 - Arrived at Whampoa, China (Huangpo, near Hong Kong) as Commodore Perry's flagship. 14 February 1854 - Entered Tokyo Bay during second visit by Cdre Perry. 31 March 1854 - Apparently flagship when the American-Japanese Treaty was signed on this date. August 1855 - Accompanied by HMS Rattler, successfully carried out raid on Chinese pirates off Kulan. 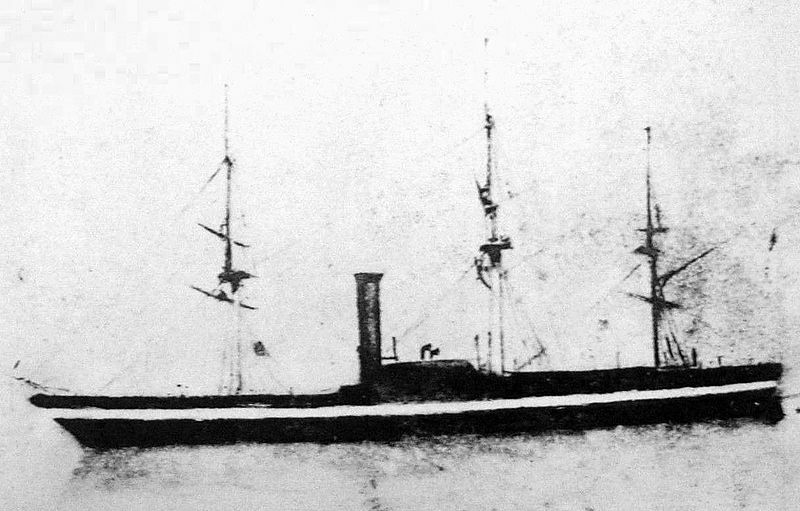 Fate: Decommissioned 2 June 1886, and sold 30 July. Scrapped 1887.